Holidays are a great time for selling because people feel excited and they go out to buy gifts for their friends and themselves. This is the time when brands compete like never before trying to conquer the heart of a buyer. And the biggest weapon in this war is marketing. The better it is set, the better it works. In 2019 trends will significantly change e-commerce. More shoppers make decisions based on emotions, and companies tend to provide some cultural value in their brands. This means that holidays are expanding their meanings regarding marketing issues. Now they are not only opportunities to sell out your products, but chances to create your image expressing a certain view. For example, you can perform some environmental protective activity on Earth Day. This will help you to engage new buyers from those who care about ecology and green initiatives. So, here is a list of opportunities you could use to launch a marketing campaign. April Fools’ Day which is celebrated on the 1st of April is a great opportunity to set up pranks against your users. It can be some funny feature or a game added to a website. If made carefully it would only increase customers loyalty, because everybody loves to feel something positive and playful. Catholic and Orthodox Easters are not heavily commercialized holidays as some of the others , but if you sell special goods like Easter bread or eggs it’s a great time to run a promotion. Even if your category of products is far away from the holiday you may decorate your website in the stylistics of Easter or offer your customers special discounts. The first Earth Day was celebrated in 1970 in the US. Since then the holiday has been spreading and now it is celebrated in more than 200 countries. Ecologists and activists organize various events referred to and related to all forms of environmental protection. Enthusiasts come together to promote ideas about how to take care of the planet on this day, so don’t skip it! Explain to customers what you do in order to save the planet and leave a positive mark. Replace environmentally destructive components with natural ones in your products. Organize an activity such as planting trees with your employees. Share your thoughts on how to improve environmental protection in your country. Landing Pages for Magento 2 – If you decided to make a prank on Fool’s Day it’s better to locate it on a landing page for several reasons. First, a landing page will grab you more visitors from search engines. Second, if it turns out to be really funny, users will share it with their friends. Lastly, a landing page is more likely to encourage people to make a purchase than a simple social media post. Amasty’s created a great extension for this purpose. 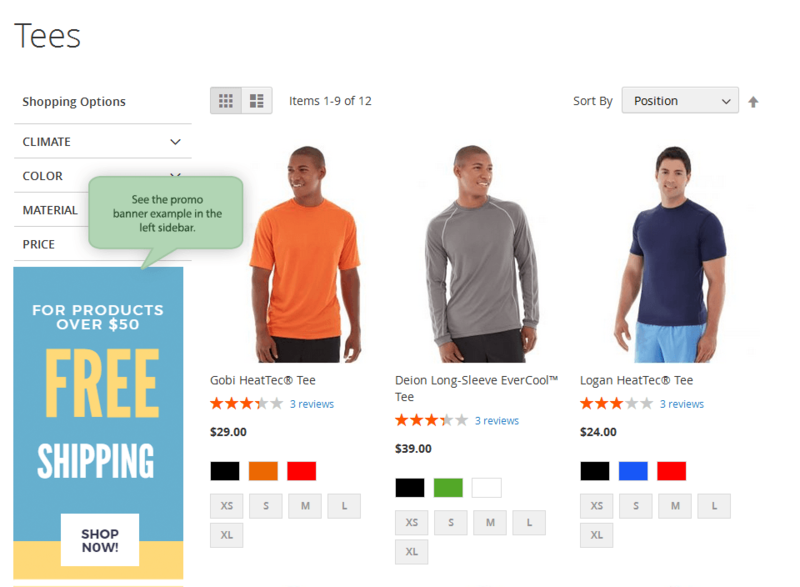 Promo Banners for Magento 2 – Banners are crucial when running a marketing campaign. They are used to keep visitors aware of sales, show them specific products you want to sell, and can even be used simply for decoration . On Earth Day, you can place a banner on a homepage explaining your environmental protection activity. People will click on the banner and find out that you, for example, have planted a hundred trees. Labour Day is celebrated on the 1st of May worldwide. Usually, this is a public holiday and since the weather this season is good people frequently go outdoors with their family and friends. That’s why Labour Day is a brilliant time to launch a big sale on outdoor equipment such as tents, sleeping bags, and grills. Notice that in the US and Canada, Labour Day is celebrated on the 2nd of September. In these countries, people honour workers and say goodbye to summer on the date. They also go out on picnics, barbecue, etc.so it’s still a great time to advertise the same kinds of equipment. Mother’s Day is a time for writing a touching message and share it with your customers. The holiday is made for honouring mothers for their 24/7 hard work of parenting and caretaking. Congratulate mothers, provide discounts, write a list of what would be a great present on this day. Daily Deal for Magento 2 – Daily deal is a great way to perform a sale confined to a particular holiday. This extension allows creating as many daily deals as you want, subscribing on offers’ notifications, displaying expired, upcoming, and current ones. Daily Deal M2 by Mageplaza – This extension will also help you to create daily deals, place blocks anywhere you want, and add a countdown timer to show users when an offer ends. A month after Mother’s day comes Father’s Day. This holiday isn’t as widespread as Mother’s Day but still is still a nice opportunity to run a marketing campaign, especially if you sell something that would appeal to this category of buyers. Send your customers congratulations and offer them to buy presents for their fathers with a special discount. Also, you can launch a social media promotion with catchy pictures and calls to action. Special Promotions for Magento 2 – This advanced promotional extension allows creating up to 20 different offers. With this tool, you’ll be able to create fixed and percent discounts and suggest that users get them based on various conditions. On the 4th of July Americans celebrate Independence Day. This is one of the biggest holidays in the US and usually, it comes with massive sales offered everywhere. In order to not miss out this time, you have to provide discounts as well. You’re free to do it in the way you want. 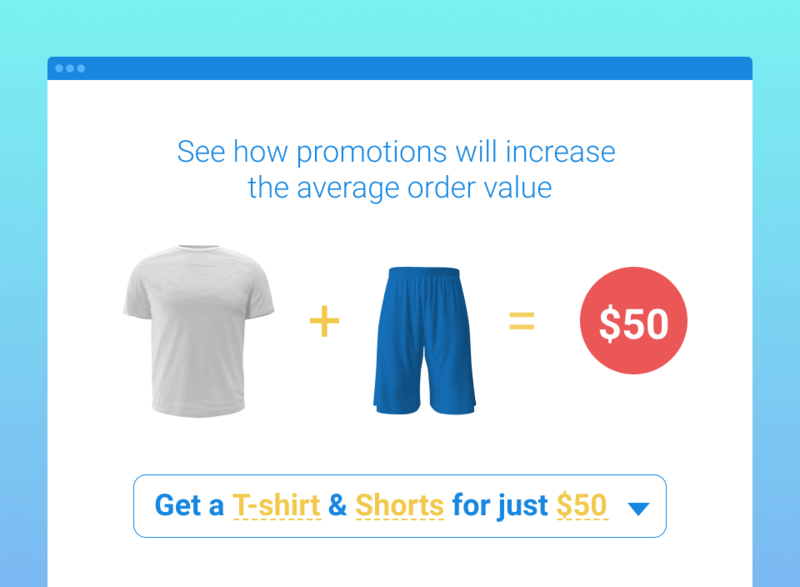 You can either provide a promo code or just decrease costs on some categories of goods. Remember that the colours of the US flag are also the colours of the holiday, so you can add them to your website or tie a promotion to red, white, and bluecoloured products. Magento 2 Product Feed – If you sell products not only on your website this extension is definitely for you. Product feeds allow you to add a product’s data to popular shopping platforms such as Amazon, eBay, Facebook. The module automatically generates and updates product feed files in such a way cutting down the time you would waste doing it manually. August is the month before kiddos and students of all ages go back to school, and that’s why demand for stationery, bags, and laptops is rapidly increased in this period. So, this time is great for marketing activities related to selling everything that would be useful in a school. Run a marketing campaign, tell prospects what you offer and propose attractive discounts to them. Magento 2 Automatic Related Products – When selling stuff for school don’t forget to recommend other products your buyers may need. Such blocks as ‘Featured Products’ or ‘Bestsellers’ displaying on a product page increase sales by notifying users that they can find what they look for on the same site. 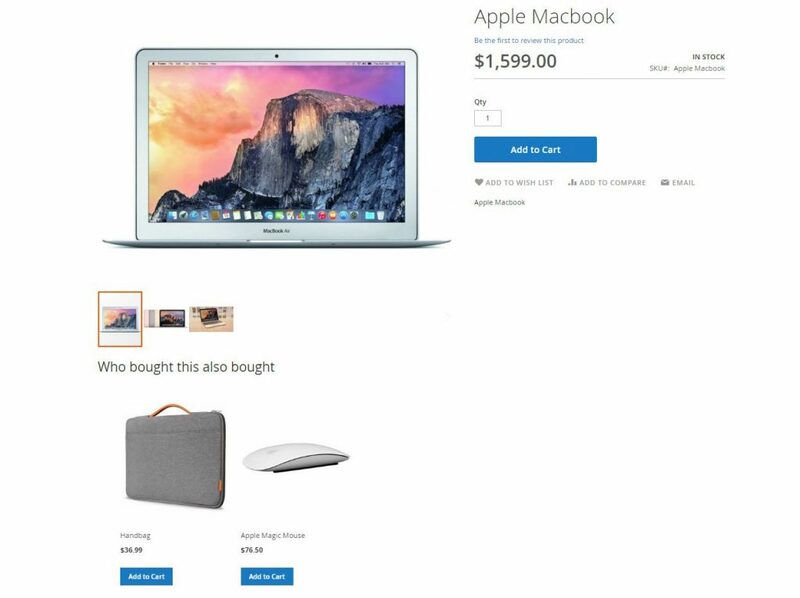 In August you can show the most frequently bought books and bags on a homepage as well as suggest that users buy pencils in addition to notebooks. This extension enables managing blocks of products, placing them on 30 positions, and even offering daily deals. Octoberfest is an annual beer festival which is carried out in Munich, Germany. It starts on the 21st of September and lasts for 18 days. From the inaugural event in 1810, it has become really popular all around the world. Every year the festival is attended by more than 6 million participants. Should you stay away while the world celebrates the biggest folk festival? Create funny content to share positive emotions with your users, gift Octoberfest’s tickets to the most active buyers, or offer a bottle of a beer for free to everybody who buys something on a particular day. Magento 2 Affiliate Program / Refer a Friend – In order to make better marketing campaigns consider installing the extension which enables you to run affiliate programs. 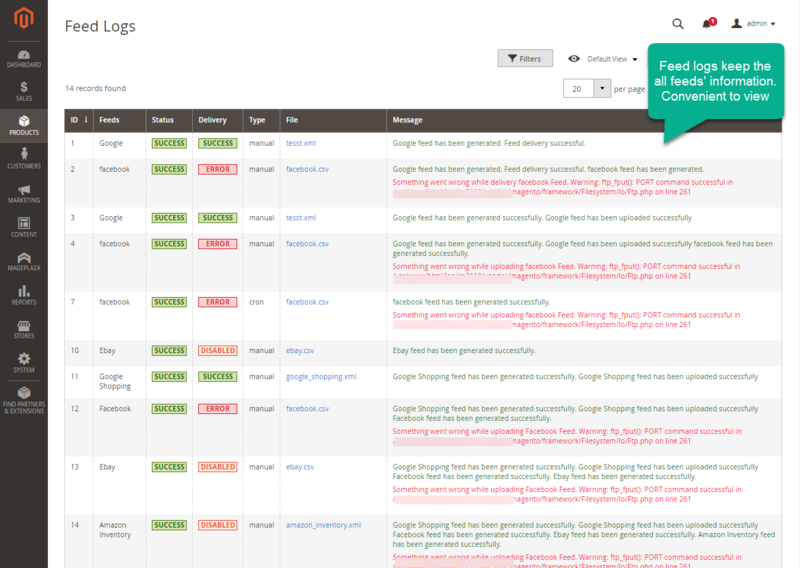 This tool helps to add your banners to partners’ websites, earn on clicks, increase traffic, and improve SEO rankings. Halloween is celebrated in both Europe and the US. This is a spooky holiday with pumpkins, candles, trick-or-treating, frightful costumes, etc. You definitely should wish your customers a happy Halloween and add some appropriate things to the design of the website. Also, offer your buyers to get some Halloween-themed freebies they would be able to present to their colleagues, friends or family members. To get more traffic from Google on this day write a blog post about Halloween gifts before the holiday “Halloween gift ideas” query is extra popular. Banner Manager for Magento 2 – This extension will help you to create different banners and locate them in various places on a website. Banners are crucial when running marketing campaigns, informing customers about sales and decorating web pages for holidays. 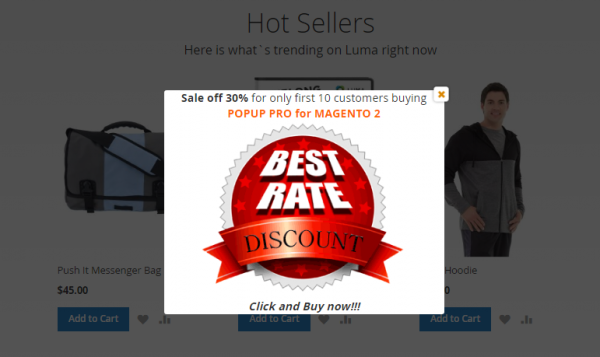 Popup Manager for Magento 2 – This tool enables you to create and manage popups which will show up on any page. The feature can be used on Halloween, for example, to offer discounts on a particular product. Also, the extension allows creating popups that call to subscribe, accept cookie compliance, log in, etc. Guy Fawkes Day is an annual commemoration of the occurrence on the 5th of November, 1605 when Guy Fawkes was arrested trying to blow up the House of Lords. From then on, people in the UK every year celebrate King’s James I surviving. by lighting bonfires and shooting off fireworks. Children sometimes still ask “Penny for the Guy” and buy crackers to enjoy. If your business covers the UK and New Zealand markets you can’t ignore this kind of celebration. Offer your prospects free gift cards, special discounts, etc. And don’t forget to notify them about the offers. Send them emails. Thanksgiving is celebrated in the US on the fourth Thursday in November. The USA isn’t the only country that observes the holiday but it’s actually considered the holiday that garners the most travel from its people. People also celebrate Thanksgiving in Canada, Liberia and the Norfolk Islands, but the dates of celebration differ. If you work with the aforementioned countries, you will be able to benefit from a marketing campaign coinciding with the holiday. On this day Americans hold parades across the country, share food with poor people, and eat holiday-specific kinds of food, most notably turkey mashed potatoes with gravy, sweet corn, pumpkin pie, and so on. Decorate your website with leaves and autumn colours, offer discounts and promote products relevant to the holiday. For example, if you sell clothes, promote an iconic Thanksgiving outfit in earth tone colors. If you sell candles, tell your prospects that it would be a perfect decision to gift them to a hostess. Who still doesn’t know what Black Friday is? The day of the most massive sales everywhere. In 2016, common revenue e-commerce businesses raked in from the sales performed on this date hit $3.34 Billion, which were a record. Black Friday is a great opportunity to clear warehouses and earn much more. In order to keep your customers aware of sales, run an email marketing campaign. Boost sales via social media promoting a post with an impressive message. 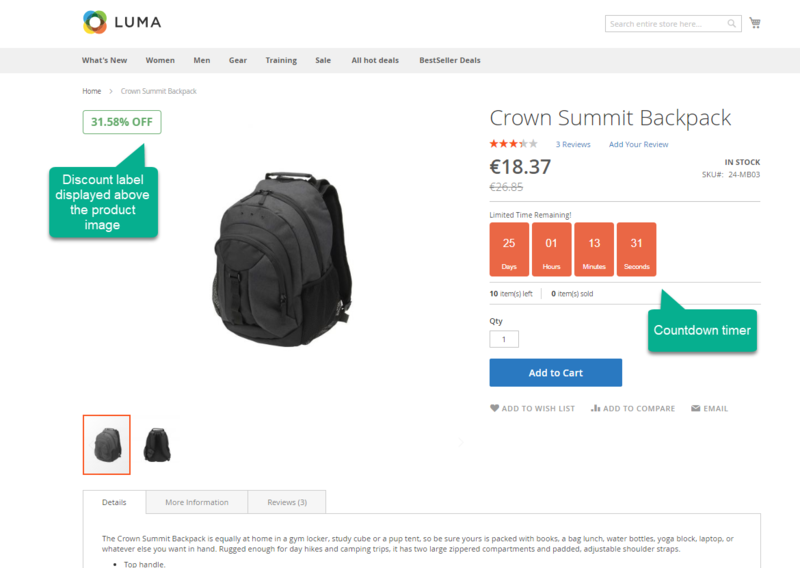 Add a countdown feature to product pages on your website to show people that the 50% discount is going to end. 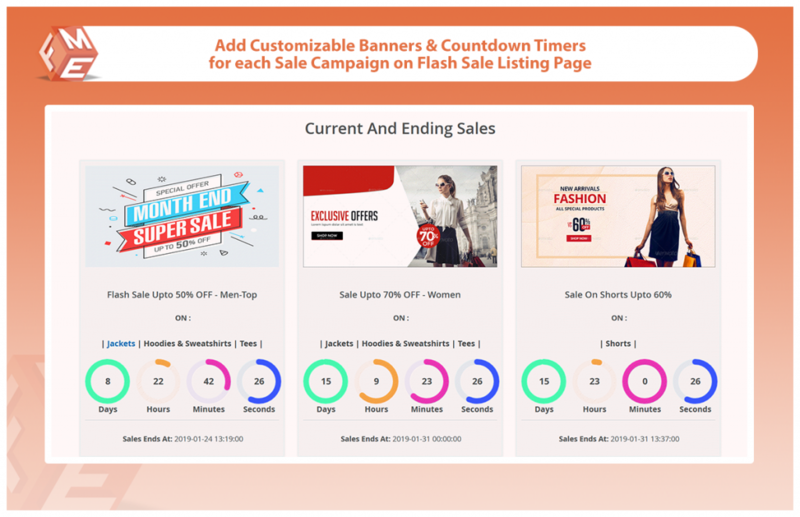 Flash Sales With Countdown Timer For Magento 2 – This extension allows creating limited-time discounts, setting a countdown timer, showing upcoming sales, etc. Add the feature to your holiday marketing campaign, and it will encourage visitors to make purchases. Advanced Daily Deals Magento 2 Extension – One more extension with really great functionality iIt includes features like creating daily deals, adding a countdown, and customizing banners with your offers. The month begins with Cyber Monday, the day after Thanksgiving when online retailers encourage people to shop more via the Internet. On this day online stores offer even bigger discounts than they do on Black Friday. The event has been becoming more popular and now 26 countries observe it. In 2017, online sales on this day reached $6.59 billion, compared with $2.98 billion in 2015. So, don’t miss the date and prepare for the most powerful promotion you can come up with. Green Monday is an online shopping day that falls on the 9th of December in 2019. Sales significantly increase on this day because people realise that there are about two weeks to spare to buy presents for Christmas. Such well-known stores as Walmart, Target, and Amazon popularize Green Monday. Since it is the second biggest shopping day in December you definitely should participate in it. Offer discounts and notify your customers about it via email. Canada and the UK will hold Free Shipping Day on the 14th of December in 2019. This event was originated by founders of Coupon Sherpa and FreeShipping.org ten years ago. From then on media has paid high attention to the event and this made Free Shipping Day extremely popular. Now thousands of online stores offer free shipping on a certain day each year. In order to join them send an email to partners@freeshippingday.com. Having done this you will be able to add your store to the list on https://www.freeshippingday.com. This site is browsed by consumers who love free delivery. And don’t forget to make a special banner on your website notifying users about your offer. Super Saturday is a day when the revenue of US retailers hits the maximum. This is the last Saturday before Christmas and a lot of people start buying out everything on the shelves in a panic since they suddenly realise how little time is left. Another group of people intentionally wait for this day to buy products with the biggest discounts. Anyway, merchants significantly decrease prices on this day to conquer the heart of a buyer. You do the same and don’t forget to prepare a mailout, add a banner and, even cooler, run a social media marketing campaign. And finally, we’ve reached the main holiday of the month, Christmas. Start your marketing campaign with seasonal keyword exploring. Using Google AdWords you will be able to define the most popular queries at that time. Knowing them allows you to create content which will attract loads of new customers. For instance, keywords ‘buy Christmas decorations’ or ‘Christmas gift ideas’ become popular before the holiday. Additionally, create a picture which you will place on your company’s Facebook page and website. Try to inform people about your sales via the picture and several posts relating to it. Boxing Day comes the next day after Christmas and is celebrated in the UK, Canada, Australia, Trinidad and Tobago, and New Zealand as a shopping holiday. It is very similar to Black Friday in the US. Traditionally, stores offer generous discounts on this day and people buy gifts for each other. But in Atlantic Canada and somewhere in Northern Ontario retailers are not allowed to open on Boxing Day by law in order to provide citizens with a day of rest after Christmas. In these areas, Boxing Day moves to the 27th of December. If you sell in mentioned markets you definitely will benefit from Boxing Day, so get prepared. This holiday isn’t recognised as a specific day for e-commerce businesses, so you can make a smaller campaign than on previous days. After Christmas, many people cut down on spending money, but it isn’t the reason for you to stop trying to increase revenue. All the more so as New Year’s Eve is the main holiday instead of Christmas for Eastern Europe. If you have buyers there you should run a huge promotion for them. Actually, the celebration in Eastern Europe is similar to Western Europe’s Christmas, and you can just adapt your ideas for the Eastern market. Use Christmas trees, ornaments and Santa Claus on pictures and wish your customers a happy new year. Your store will become more attractive if you offer good discounts. 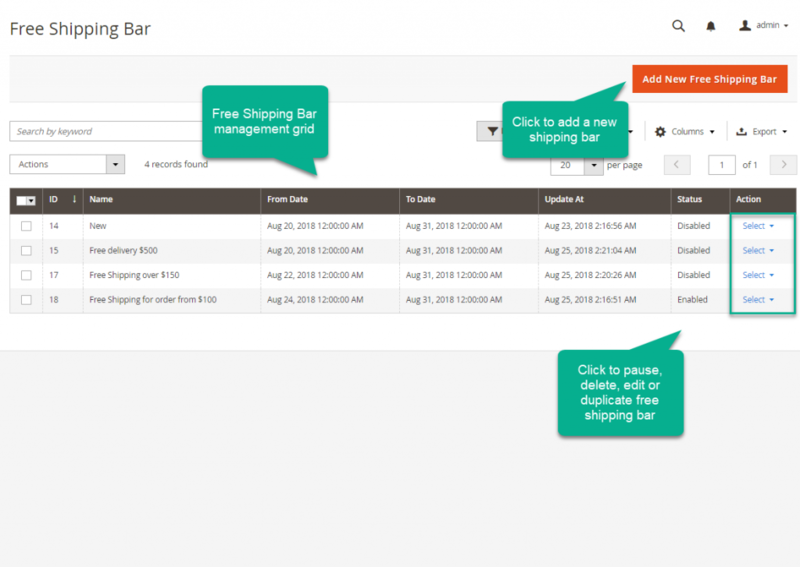 Magento 2 Free Shipping Bar – This extension reminds your customers about the benefit they’ll get if they make a purchase. Using this tool you can inform visitors that you offer free shipping on a particular day or depend on a number of dollars they spent. Advanced Wishlist for Magento 2 – The module allows customers to save products in the list to buy them in the future. It includes such features as notifying users they have forgotten goods in the wishlist, sharing desired products to social networks, grouping selected items, etc. Holiday Season Effects – Magento 2 – This extension provides you with more than 10 snowfall designs, header and footer decorations, animated Santa, snow mountains, Christmas trees, etc. Having installed it you’ll be able to easily prepare your store’s design to the holiday season. There are many countries in the world where the first day of a new year (New Year’s Day) is celebrated as well as Christmas. For example, it is so in Eastern Europe. The first week of a new year is a great time to offer your customers special discounts especially if you sell globally. Decorate your website with Christmas trees, ornaments, snowflakes, etc. 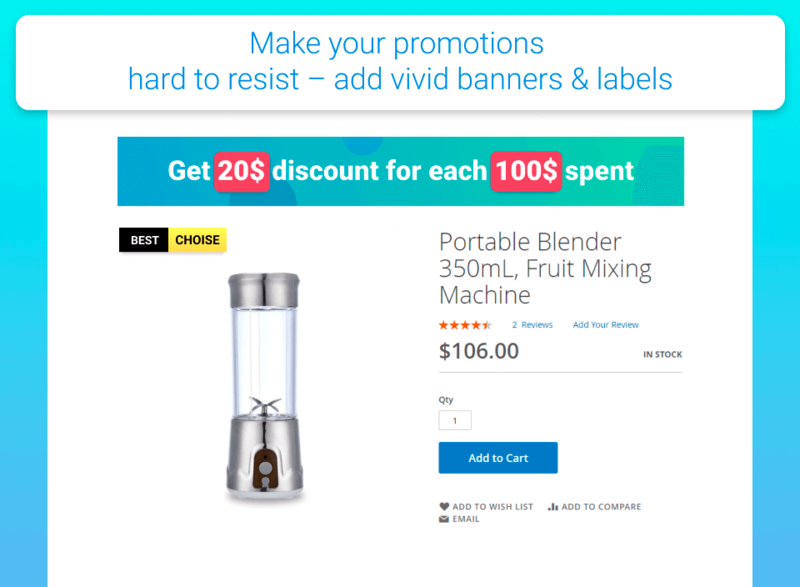 Put a noticeable banner with the offers at the top of a website, and don’t forget to send emails to your subscribers in order to keep them aware of your sales. Martin Luther King Jr. Day is celebrated in the US, but the person is well known all over the world these days. King was a leader of the civil rights movement in the 1950’s-1960-s in the USA, so it would be a great idea if you add some motivational content to your online store or change the design in a way linked to the date. On the 25th of January, Asian countries celebrate the Chinese New Year. This day begins a new year on the traditional Chinese calendar. The country has a wide overseas community, that’s why the festival is celebrated in Singapore, Indonesia, Malaysia, Thailand, Cambodia, the Philippines, as well as in North America and Europe. When considering how to style your store to the date, keep in mind that the main colour of the holiday is red. Also, you can use animals of Chinese zodiac in the design of your store. For example, 2020 is dedicated to the Rat. 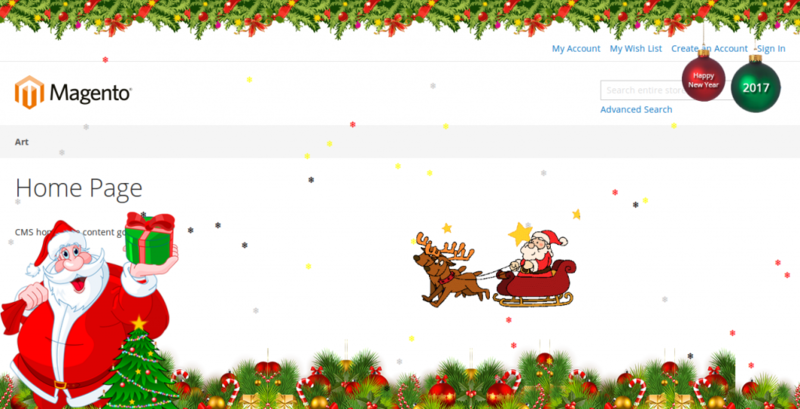 Christmas Snowfall Effects Magento 2 – This extension will help you to decorate your website with ready-made snowflakes, snowmen, Santa Claus’,and Christmas ornaments. Admin can customize the display and layout of decorations. Magento SnowFall – This simple extension adds a snowfall effect into your store and it can be downloaded for free. Snowfall Effect – The extension made by Hidden Techies implements a snowfall too. In addition to it, you’ll get clear documentation which explains how to install the module. Valentine’s Day is celebrated on February 14 all around the world. The holiday was originated in early modern England but it spread worldwide by the 21st century. On this day, heart-shaped greeting cards, gift boxes, chocolates, bouquets of roses, and literally just about anything else become very popular. Everybody looks for what to buy to present to their partners every year, and this is a great opportunity to offer buyers something unusual. Crown your web store with some holiday decoration, offer discounts for pairs – or, vice versa, for those who are single – provide free wrapping, etc. President’s Day is a United States federal holiday which has been originated in honour of George Washington. These days some states commemorate all past presidents of the US on the third Monday of February. Schools organize events where they talk about Washington’s life and work. Since it is a public holiday most stores in the US start their sales on this date. If you sell in the US don’t miss the date: offer a special presidential discount to your customers – like car companies and dealerships do. They massively hold sales events on this holiday pushing for people to buy new cars. Seasonal Decorations Valentine – Magento 2 – With this extension, you can customize the look of your store on Valentine’s Day. It allows you to add falling heart shaped confetti,a moving cupid, heartbeat palpitation graphics, tulips, etc. Special Promotions Pro for Magento 2 – This advanced extension will avail you to create more than 20 types of promotions based on different conditions. You can create product sets with special discounts, offer ‘Buy X Get Y’ action, and give discounts for a certain amount of money spent. Women’s Day is celebrated on the 8th of March in different countries and in each of them, it has its own meaning. In Western Europe, this is a day of women’s emancipation while in Eastern Europe people celebrate womanhood. But in spite of different meanings, there is something common. Demand for products from the health & beauty category increases on the 8th of March, so it would be great if you congratulate your female clients and provide them with special discounts. St. Patrick Day is widely celebrated all around the world, but mainly in Ireland, UK, Canada, US, Brazil, Argentina, Australia and New Zealand. The main colour of the holiday is green and includes a 3 leaf clover/shamrock for good luck. People wear funny hats, t-shirts, pants, and many of them go to bars and some Christians even attend mass on this day. Add green colours to the website, offer some Irish themed things for free for those who made a purchase, or even promote those hilarious holiday hats if you sell them. Magento 2 Gift Card – You can offer your customers gift cards to motivate them to buy more on holidays. The extension created by Mageplaza is full of features you’ll need while running such a promotion. It allows designing gift cards, personalizing them by buyers and sending them via SMS, emails, and mail. Magento 2 Reward Points – Reward points help to turn buyers into loyal customers by crediting them with scores they can spend on new purchases. This extension has a wide functionality which allows customizing points’ icons, adding a scale which shows how many scores have been earned, and setting specific conditions which define rules whereby the system works. Now that you’ve learnt the list of holidays, it’s time to talk about how to actually run a promotion. There are a lot of details and you’d better puzzle out the topic before starting any kind of marketing activity. But, as the first step in this investigation, we’ll give you a few hints which will help you to prepare a perfect holiday marketing campaign. There is a seasonal demand for some categories of products. For instance, tires are sold out two times per year, in autumn and spring, when car owners re-tyre; school clothes and supplies sales skyrocket in July and August to be prepared for back to school days; sales for party clothes tend to hit their peak just before the holiday. Taking this into account, thoroughly investigate what is your seasonal product demand. You may already have paid attention to the peaks in sales, but Google Trends could also be a help to you. It is a free tool created to aggregate the most popular trends and tendencies. With this data gathered, you will find out which months are the most important for your marketing activities. In order to prepare for a perfect marketing campaign, you have to start working on it long before the holiday comes. And the thing is that nobody keeps the whole calendar in their mind. To take advantage of every chance you have, make a list of upcoming holidays and review it on a regular basis, and add them to your marketing plan. Sometimes planning a promotion may take up to half a year, especially if it involves omnichannel strategy implementation when you have to prepare posts for Facebook as well as videos for YouTube and banners for appropriate websites. Or sometimes even website web development [any other longtail keyword] when you have to add a new particular feature to the site to run a promotion. Omni-Channel Marketing means that prospects are engaged via a variety of channels. For example, you want to spread the idea that your restaurant is the best for celebrating Valentine’s Day. For this purpose, you run a promotion on social media as well as on websites and mobile apps. In other words, everywhere where you can reach your customers. Emails – Notify your subscribers that a sale starts, send them special discounts, etc. Social networks (Facebook, Instagram, Twitter) – Prepare catchy pictures and text with an explanation of your offer, sponsor posts in order to reach your target audience. YouTube – If your target audience watches product overviews on YouTube, you should use the platform for your marketing goals. Shoot a great video, promote it, and even try to collaborate with influencers to add your message to their vlogs. Blogs – Write articles and posts and publish them on Medium or on popular standalone blogs in your category. Everything we’ve mentioned here should help you identify the channels you should use when running a holiday marketing campaign. Also, don’t forget that a message you want to convey to people has to be relevant to your target audience. Before launching a promotion, check the idea on a small group of people. In order to do this marketers frequently gather focus-groups. Come up with several options of a marketing message and canvass people who fit your buyer persona. This is the best way to ensure you’ll get the most relevant message to your customers. So, we wish you a merry promotion and a happy sales year! In case the aforementioned extensions don’t fulfill your needs and design vision, feel free to contact us. We’d love to help you create and implement any custom feature that will best serve you and your customers.